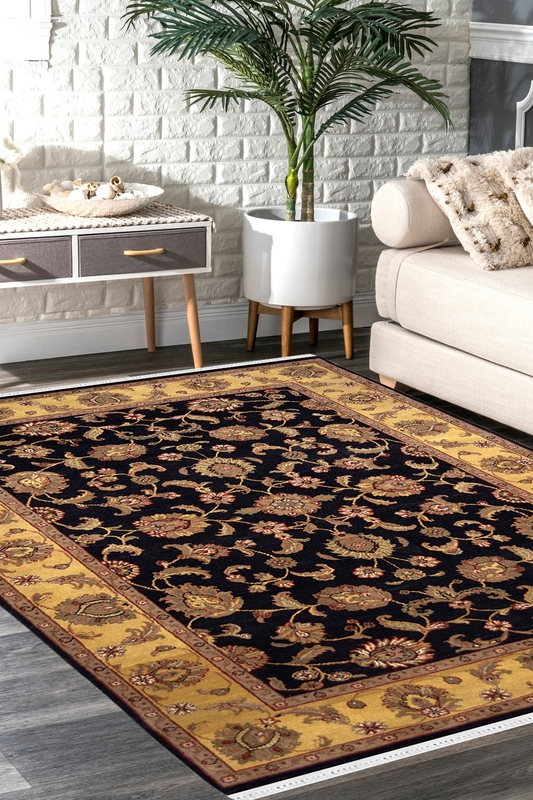 Aroma your space with this magnificent handmade carpet which is handwoven in pure New Zealand wool and cotton material. This carpet gives a rich look to a place. This is 100% washable and due to dark color and wool material, you can use it for high traffic area as well. Do you want to put a Persian style in your home then find the pure Persian carpet which contains 100% Persian style? This carpet contains Kashan Floral design and this design is originated from Persia many years ago or around 16th century. In past time, this design carpet was only used for the royal people. This design is totally inspired by the flowers.